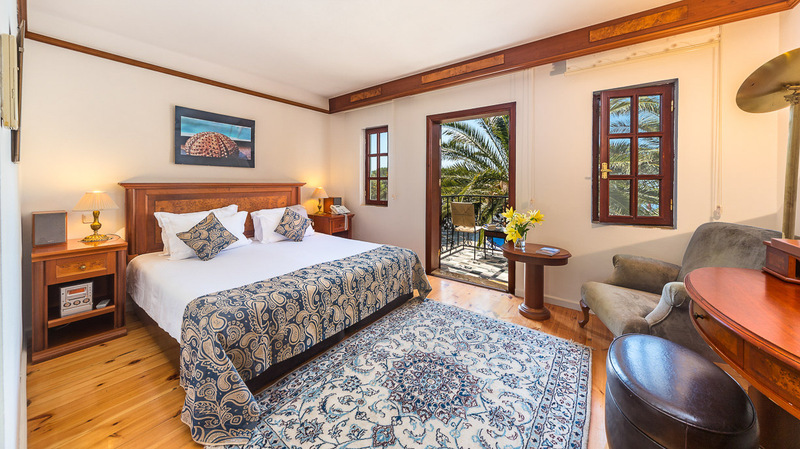 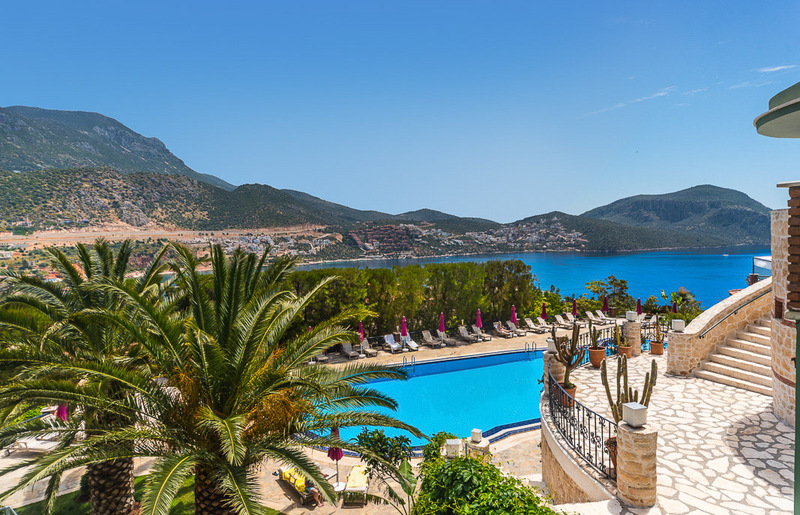 The Kalkan Regency has 41 rooms, some of which were recently refurbished and received great reviews from guests. 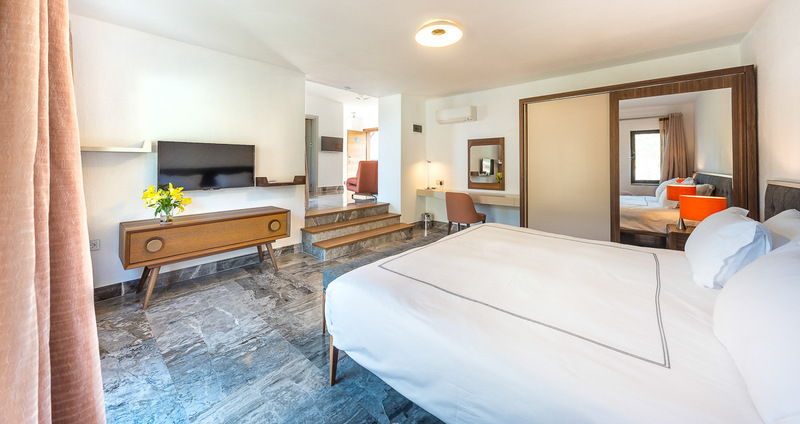 All rooms have complementary tea and coffee making facilities, mini bars, good hairdryers, laundry and room service and we can provide CD or DVD players for those who request them. 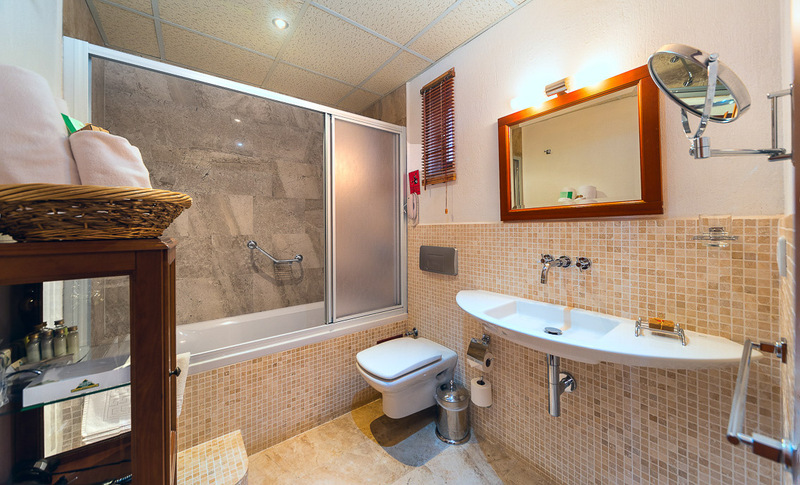 All with bathtubs and small balconies, except for the ground floor, which has large decks instead. 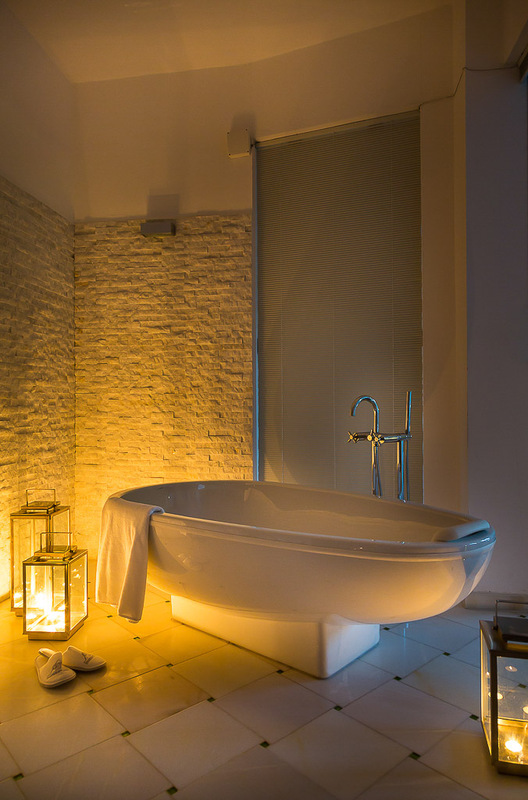 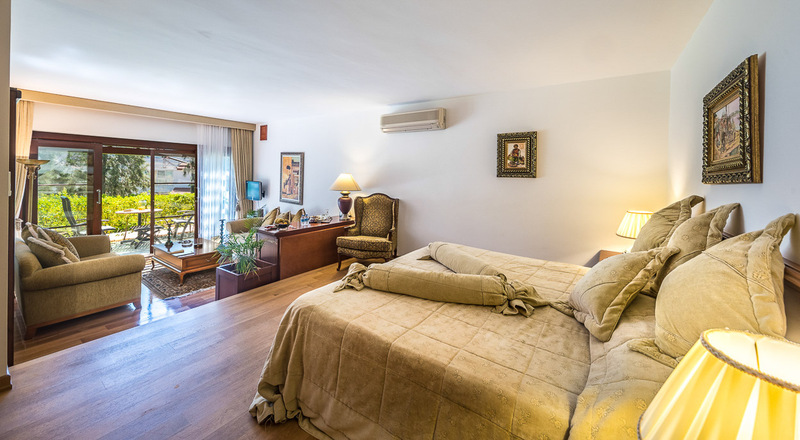 There are also 2 interconnecting rooms, ideal for families with small children. 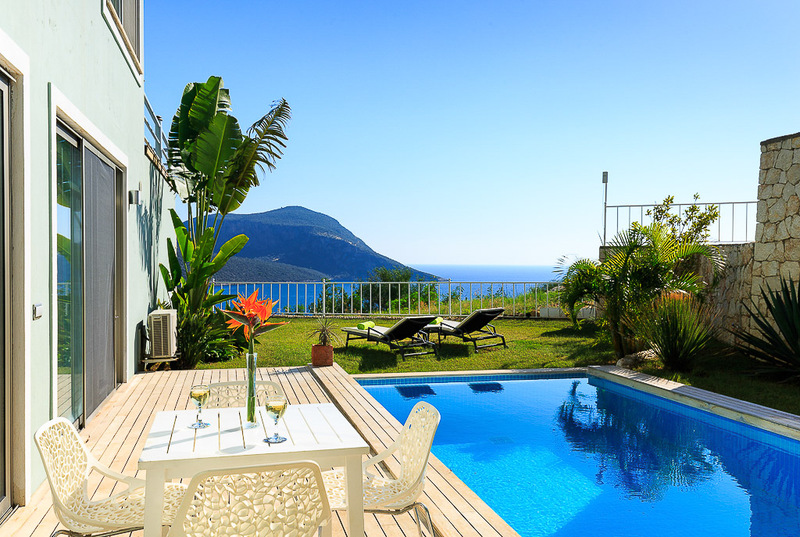 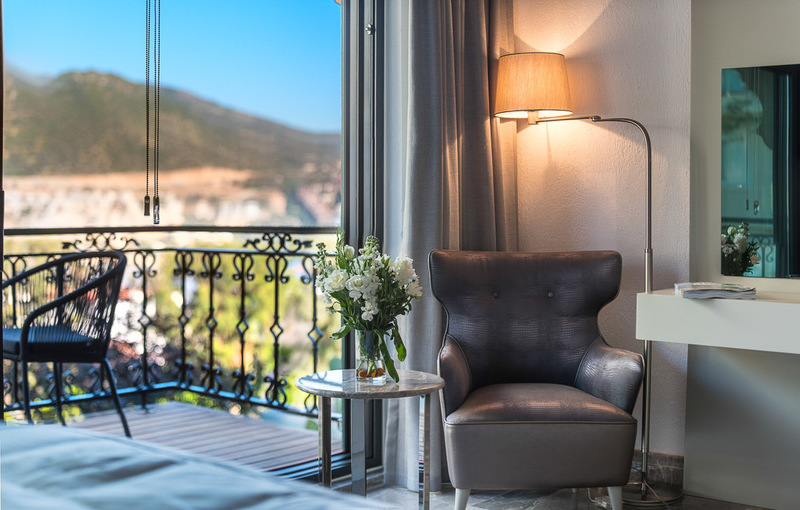 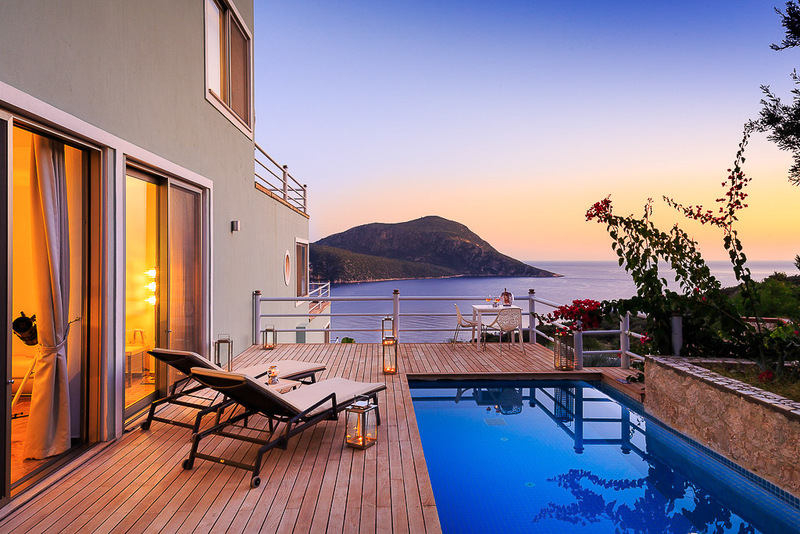 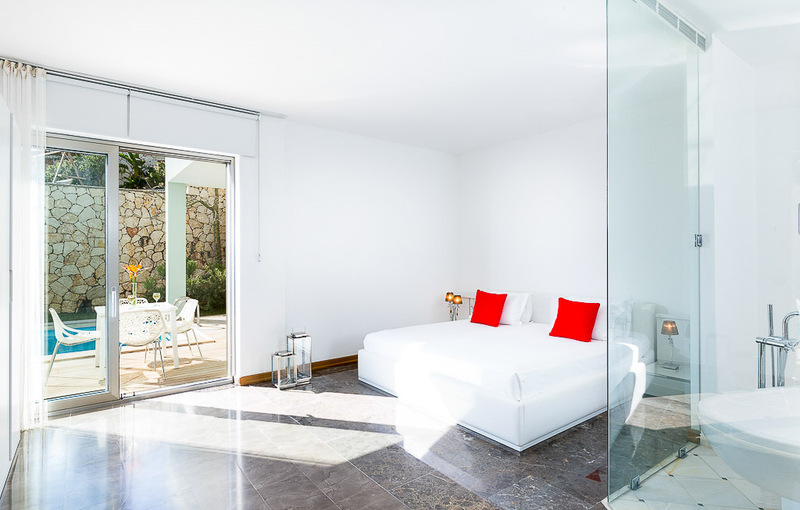 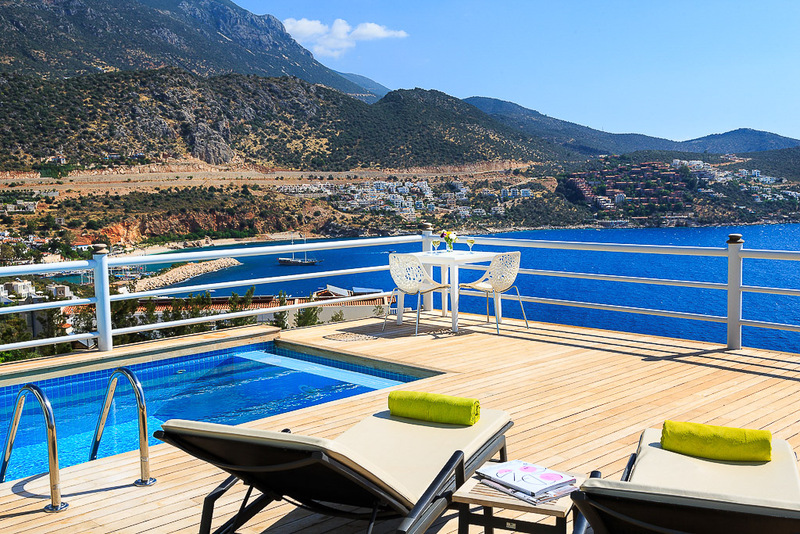 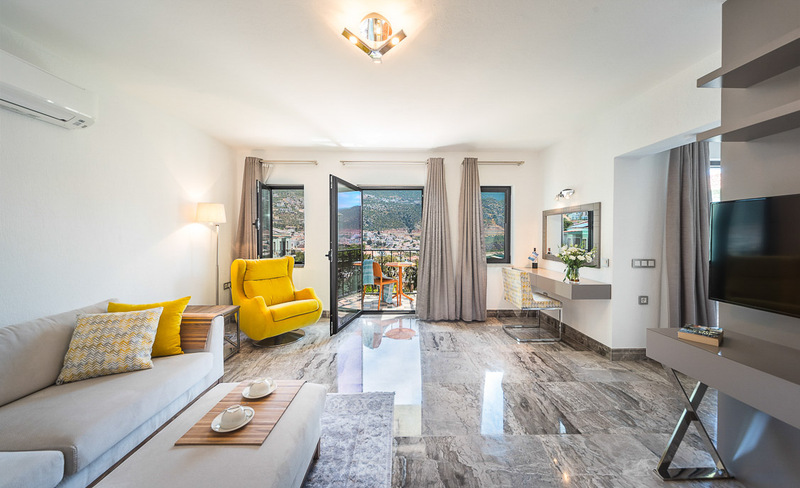 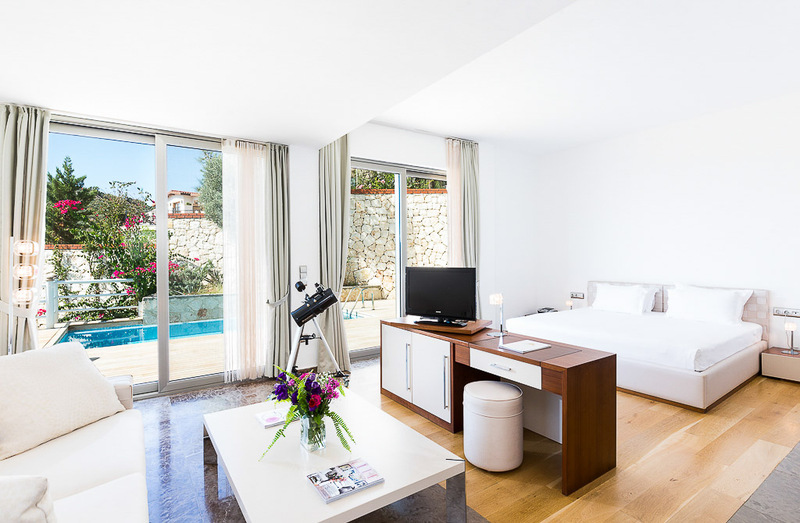 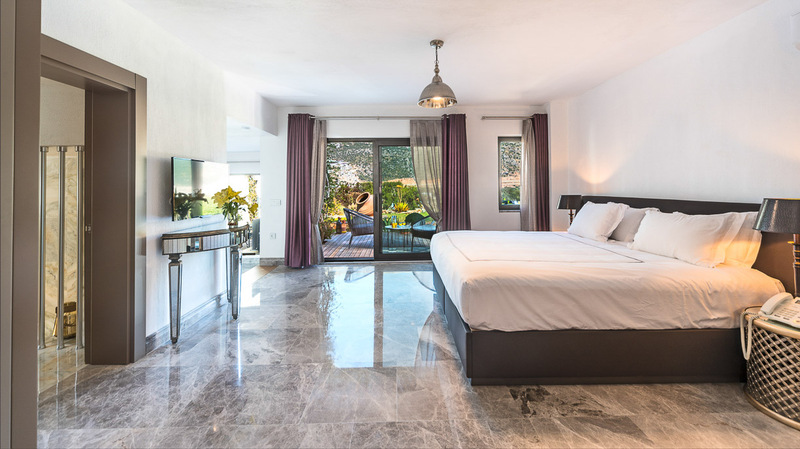 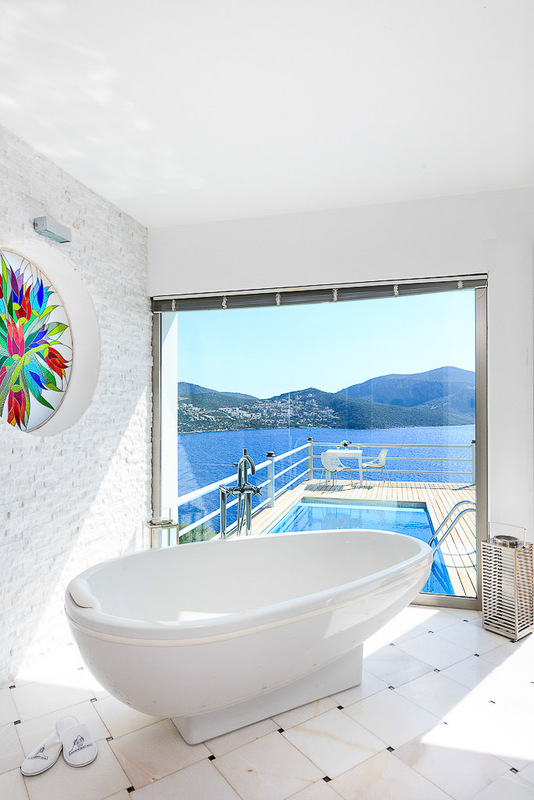 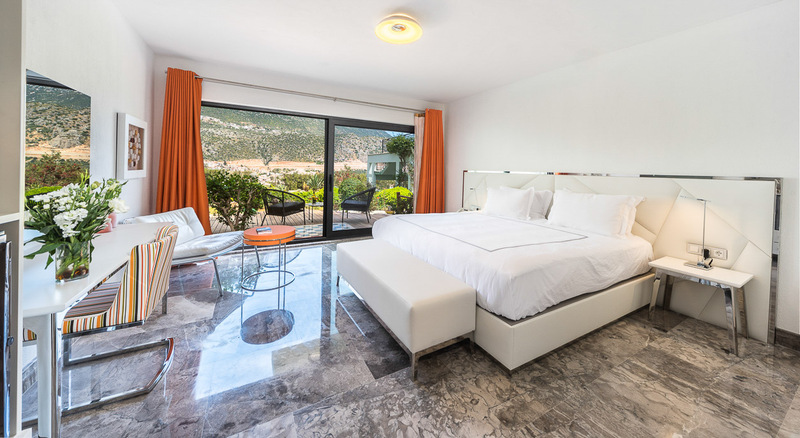 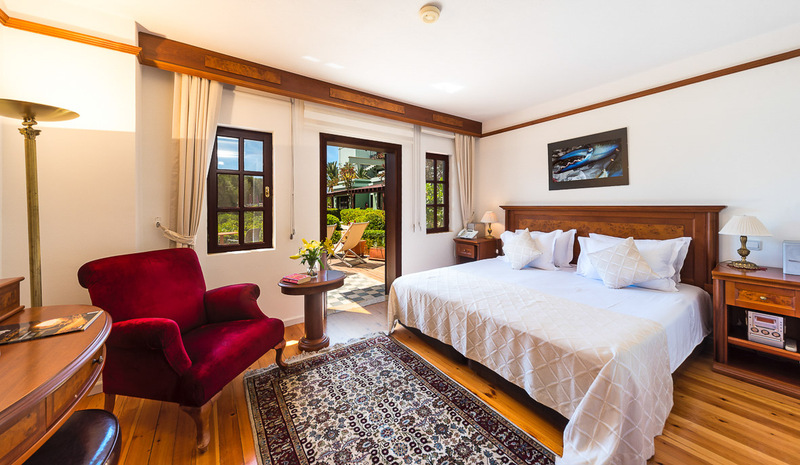 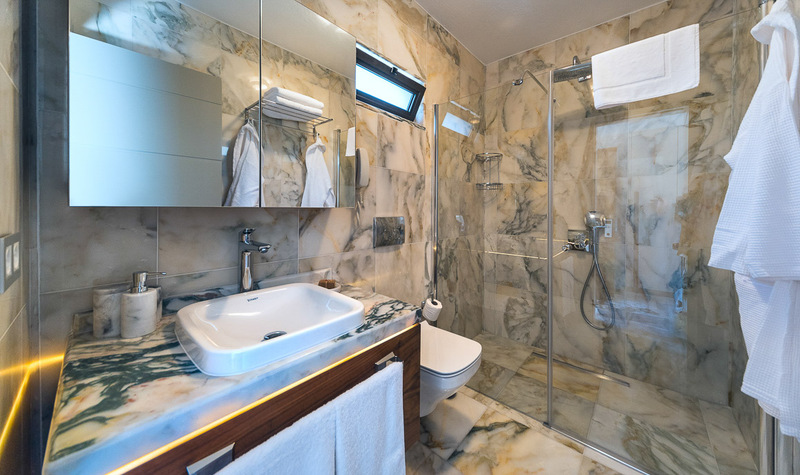 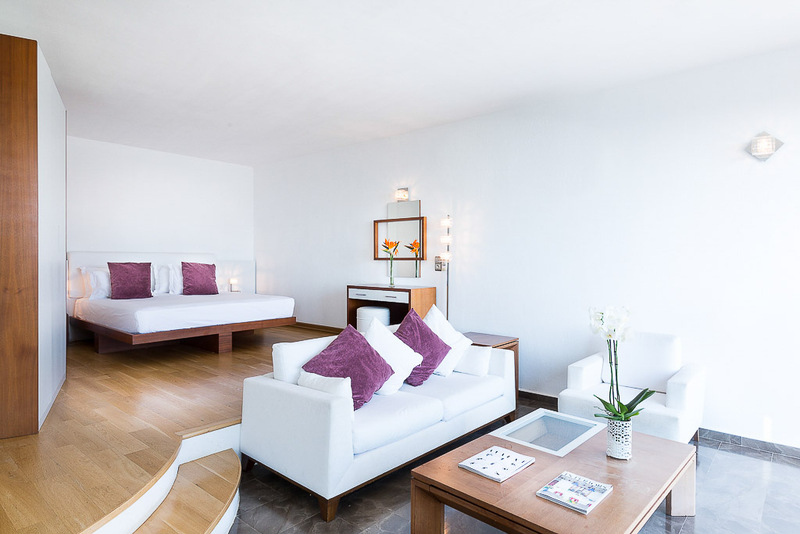 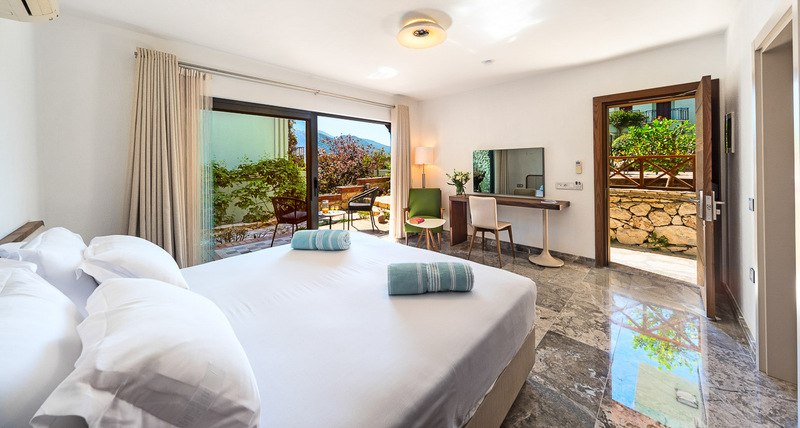 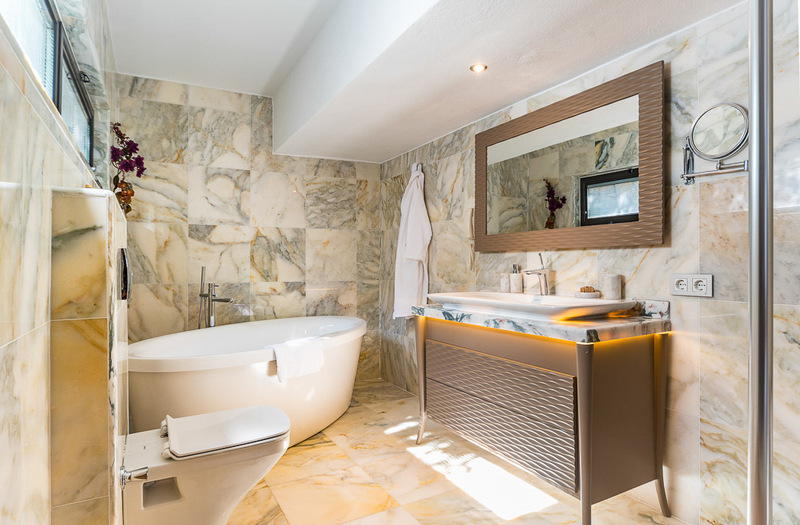 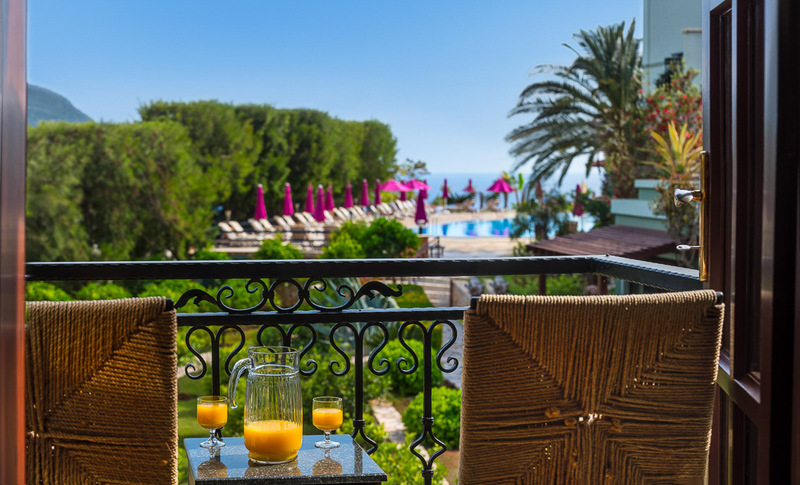 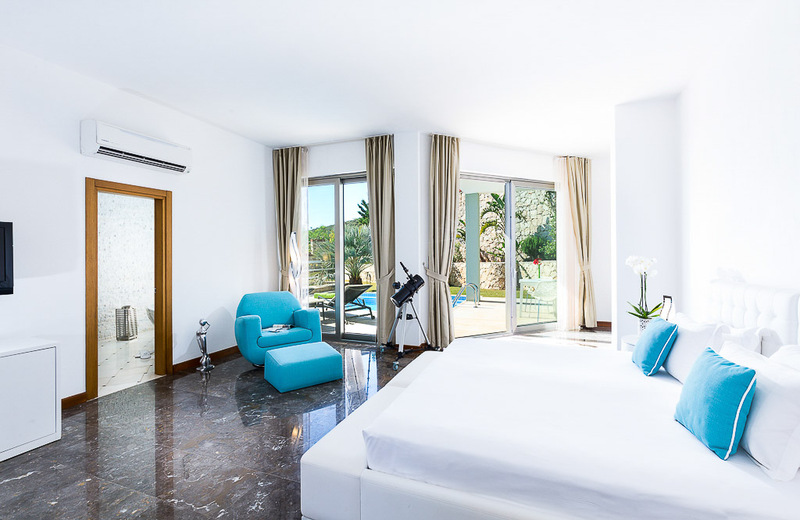 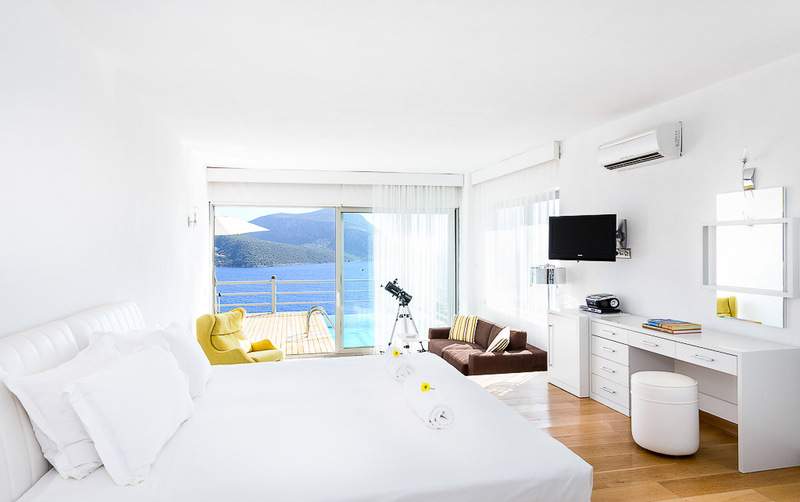 With enlarged balconies and windows, walk-in showers and great views of Kalkan Bay, the gardens and pool these are strictly double rooms and cannot accommodate an extra bed. 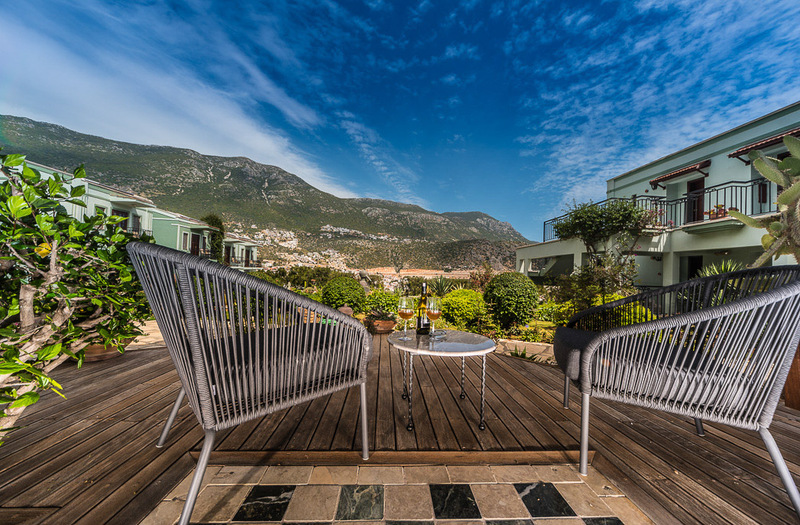 These are all on the ground floor and have been enlarged during the refurbishment, with walk-in showers and the tiny balconies replaced by lovely decking to give large outdoor space. 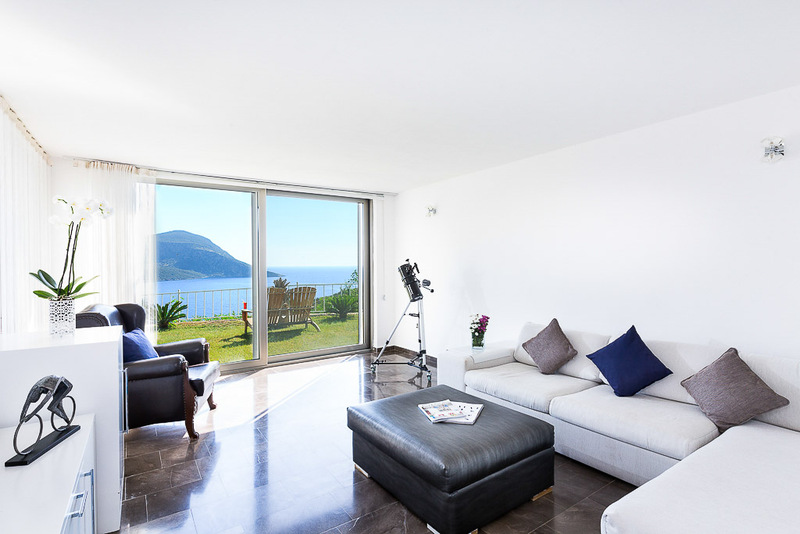 Each is uniquely furnished. 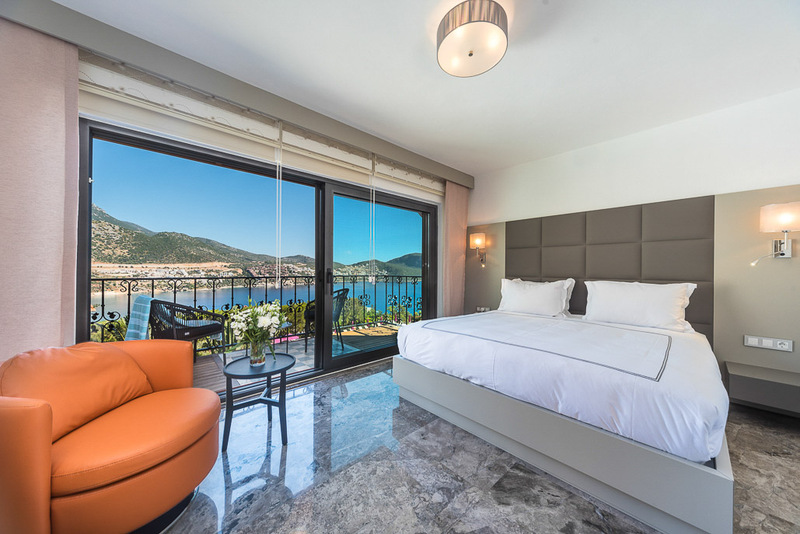 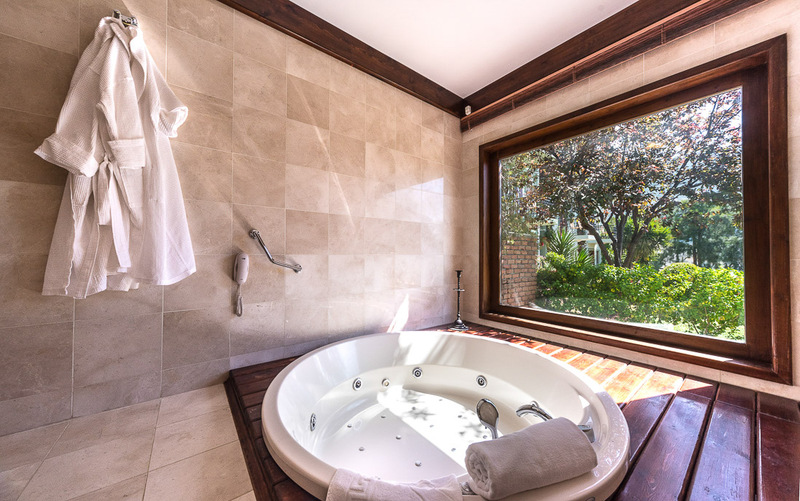 MANDALİNA (tangerine) on the third floor with walk-in showers and sofa beds ideally suited to families with 2 small children, or 1 young child. 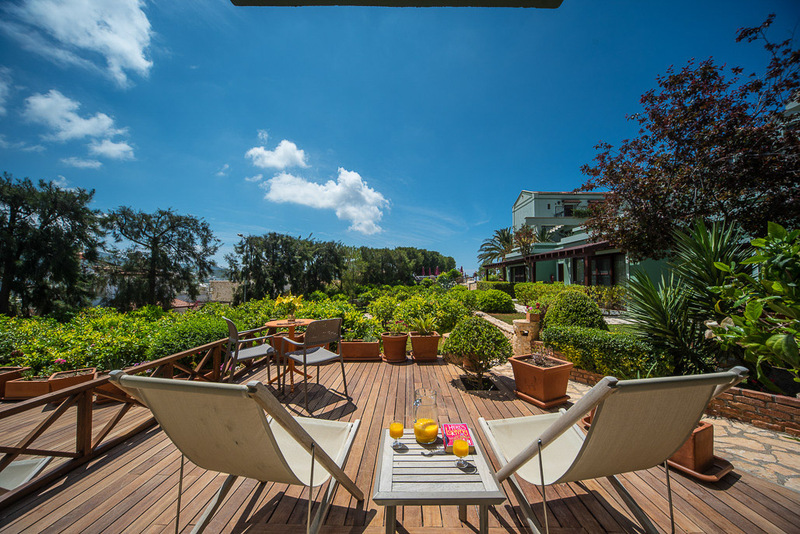 Both have lovely sea views and overlook the gardens, with one large and one small balcony.